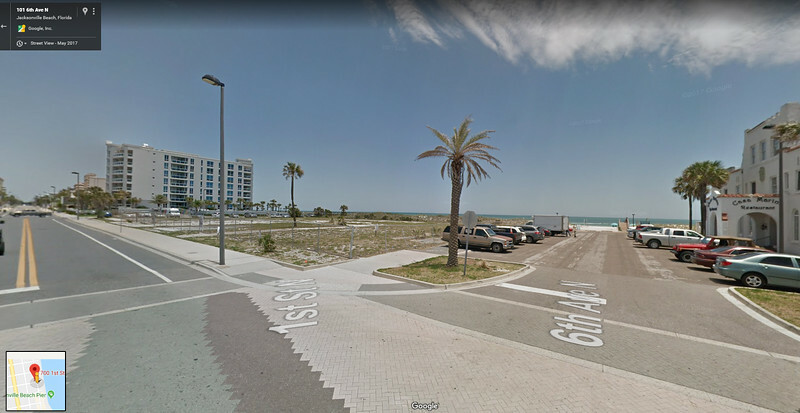 A Margaritaville Resort is headed to Jacksonville Beach. 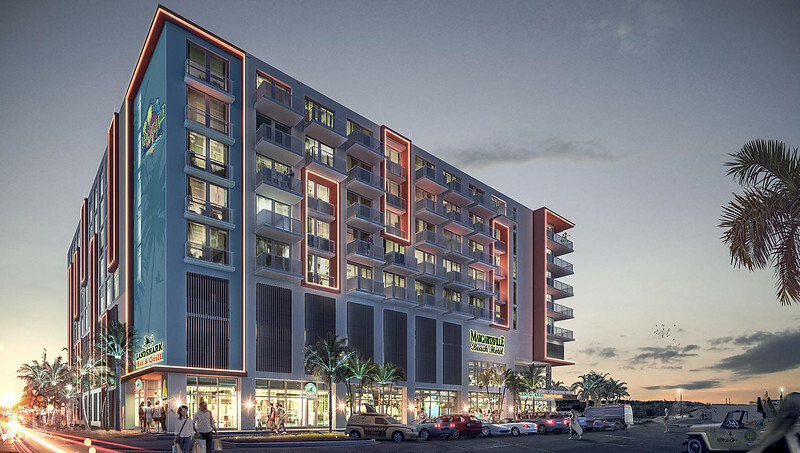 The 8-story, 211 room full service hotel will rise next door to the Casa Marina Hotel. 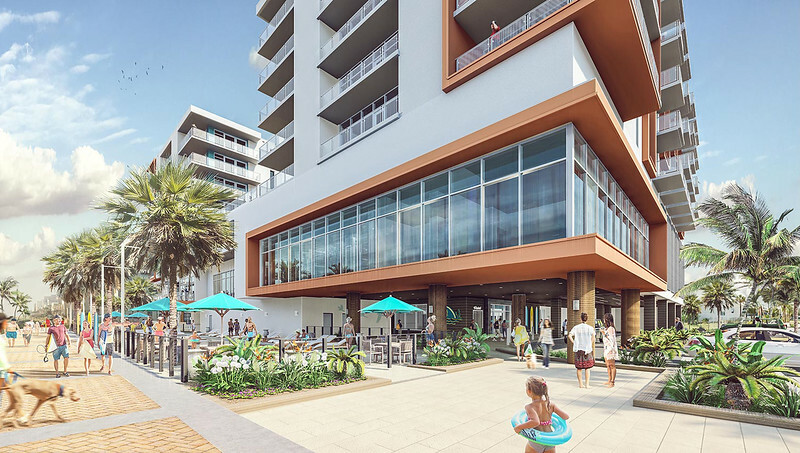 It could include a two-story LandShark restaurant, coffee shop, retail space and an exterior beach side pool and outdoor deck. Construction may begin as early as January 2019. Here's a look at the project's conceptual renderings. The project site is located at the intersection of First Street North and Sixth Avenue North. 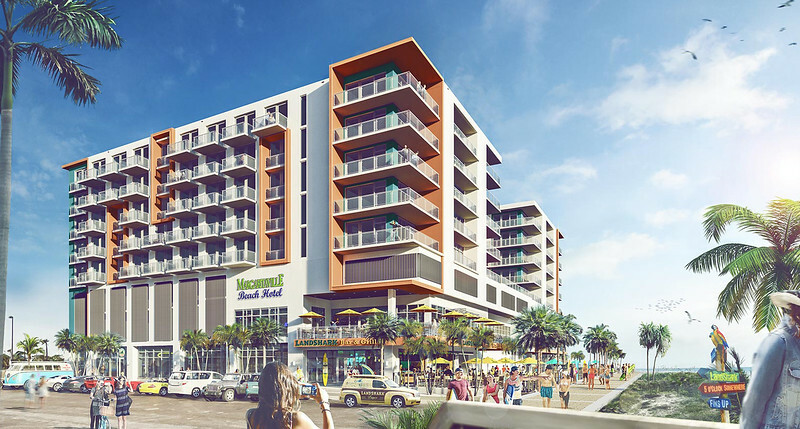 The new 8-story, 201-key hotel features beachfront views paired with a contemporary design reflecting the tropical comfort and escapism for which the “Margaritaville” brand is well known. With a two-story LandShark restaurant, coffee shop, retail space and exterior beach side pool with outdoor deck, the full-service hotel offers many options for relaxation and recreation. Fitness center and meeting room space is also available on the fourth ?oor. A u-shaped layout with varying balcony designs maximizes the number of beach facing rooms that offer stunning views of Jacksonville Beach. The owner desired a sophisticated, nautically inspired design, reminiscent of a yacht. Large teak-toned metal picture framing accents group balcony elements, bringing interest and warmth to the exterior of the tower design. The parking structure’s custom screen also mimics weathered driftwood. 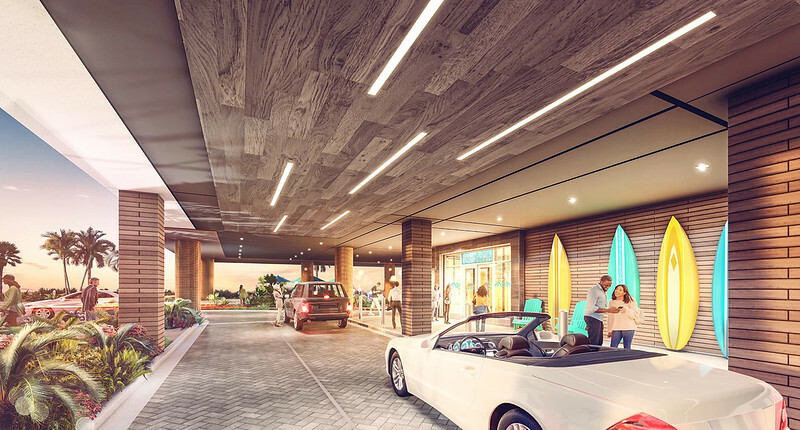 Limited allowable height restrictions prompted the addition of car lifts in the valet garage to maximize parking space while preserving space for additional guest rooms. Visible on all sides, the hotel design is attentive to beachfront and street front integration. The pool deck and bar take advantage of the ocean view, while the western side of the hotel expands the city’s bike lanes, hardscape and landscape to accommodate pedestrians, bikes and vehicles. The design team worked closely with the Florida Fish & Wildlife Conservation Commission to design and place well-lit beachfront pedestrian areas that also help conserve local sea turtle populations. Construction on the 8-story project is anticipated to start before the end of 2018 with an 18 to 20 month overall duration.